Having rated each individual race for nineteen separate weekends, it's time to combine your scores and judge the season as a whole. With so much occurring in the space of nine short months, the Australian Grand Prix feels a long, long time ago. But cast your mind back, and pass judgement on 2013 and how it stacked up for you. From the chaos of the Australian Grand Prix, to the emotions of the racing in Brazil, the season has had its highs and lows. The early races were full of promise and saw a variety of different winners. 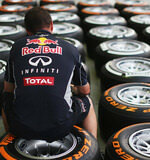 The midseason fights became scrappy as tyres took centre stage. The final few months were less thrilling as one team dominated, but the action behind them was almost enough to make up for it. Here's your chance to rate the season as a whole, from five stars down to one. As well as the rollercoaster ride the racing took them on, F1's drivers have been on a huge journey in 2013. Sebastian Vettel dominated on-track, whilst Kimi Räikkönen took his share of off-track headlines. Pastor Maldonado made friends and enemies, and Heikki Kovalainen made an all-too-brief return. Some of the midfield racers shone, and the backmarkers wrestled for position despite being often overlooked. Here you can pick your driver of the season, who performed the best overall in 2013? Once you've voted, you can let us know your choice in the comments below, or share your selection via Twitter. We'll compile the results soon and take a look at how the view of the season as a whole stacks up against the stats from each race weekend - it should make for an interesting comparison.